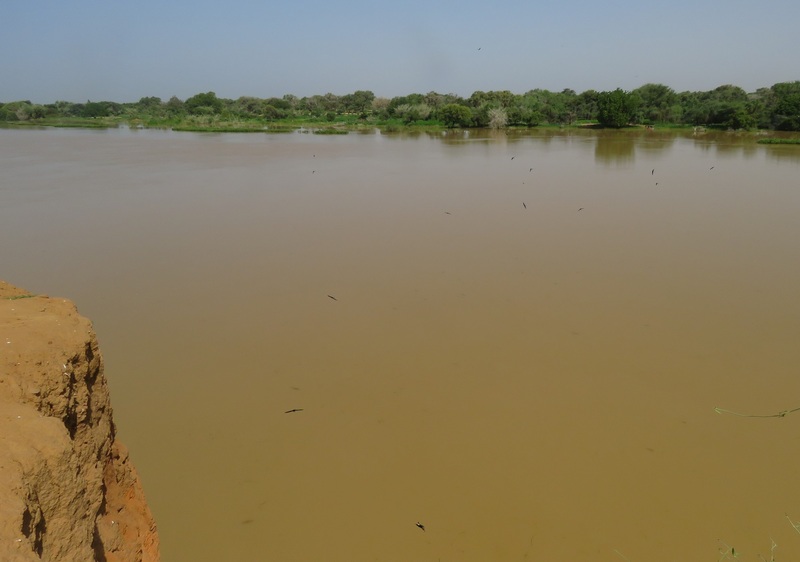 Ever since our first expedition to the Moyenne Vallée back in January I’ve been keen to return to this little-known part of Senegal, mainly to see whether our Horus Swifts would be still around and to find out what the rains season would bring here. Early October I had the chance to finally head back out there: here’s a glimpse of our five-day road trip to the Far North. Where to start? We’ll take it in chronological order! 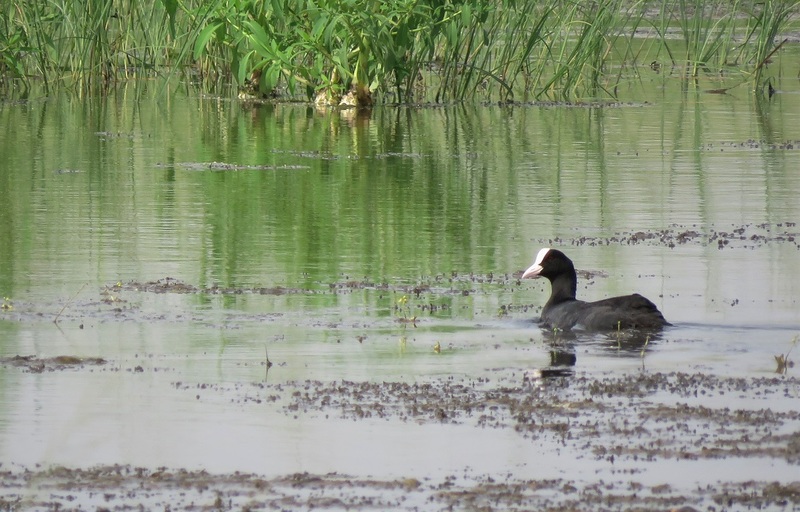 A pit stop at the lac Tanma bridge and a couple of brief stops at Mboro produced a few waders and Greater Swamp Warbler (niaye near the abandoned Hotel du Lac), African Swamphen and Levaillant’s Cuckoo (ponds at the start of the road to Diogo; Rousserolle des cannes, Talève d’Afrique, Coucou de Levaillant). From there it was pretty much non-stop all the way to the Trois-Marigots, an important wetland complex just past Saint-Louis. All lush and teeming with bird life following abundant rains in previous weeks, I could have easily spent half a day here but unfortunately could only spare a couple of hours before moving on to the Lampsar lodge. Just like at Trois-Marigots, Yellow-crowned and Northern Red Bishops were very active in the fields around the Lampsar lodge, where quite a few northern songbirds were noted during a short walk at dusk: Western Olivaceous Warbler, Common Redstart, Garden Warbler, White Wagtail and many Yellow Wagtails – at least 135 flying towards a night roost on the other side of the Lampsar river (Euplectes vorabé et monseigneur, Hypolais obscure, Rougequeue à front blanc, Fauvette des jardins, Bergeronnettes grises et printanières). 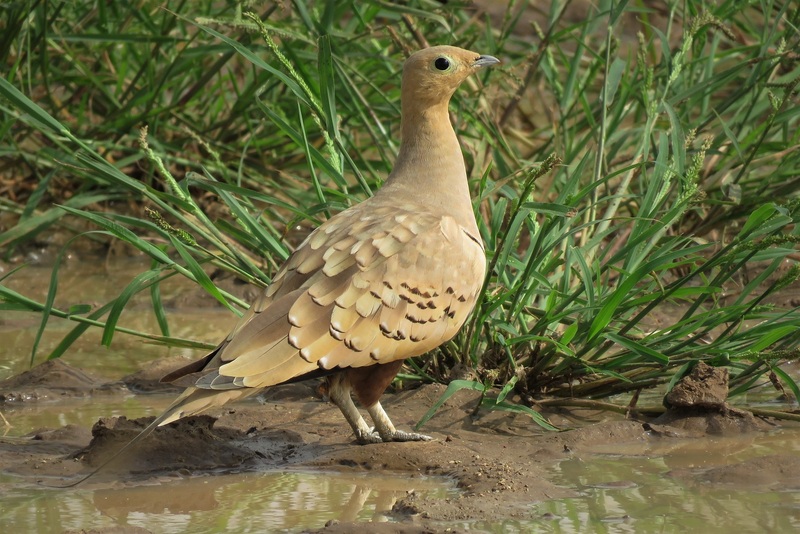 The Lampsar lodge certainly seems like a good base to explore this part of the Senegal delta, being located close the Djoudj and other birding hotspots in the area. Two Black-crowned Cranes were calling opposite the lodge at dawn, while Greater Swamp Warbler was singing along the Lampsar; the rice paddies and surrounding farmland held Winding Cisticola, River Prinia, and several waders including Common Snipe (Grue couronnée, Rousserolle des cannes, Cisticole roussâtre, Prinia aquatique, Bécassine des marais). But we were just warming up… time to get serious. Vieux Ngom joined me at Lampsar from where we set off for the Ndiaël fauna reserve. Vieux is one of Senegal’s most enthusiastic and skilled birders, based out of the Djoudj as an eco-guide and is a great companion in the field – it was an absolute pleasure to spend the next few days in his company! So, the Réserve Spéciale de Faune de Ndiaël: I’d only visited a couple of times before, and this was my first visit during the rains. The usually barren plains and dry acacia scrub were now all green, full of water, ponds with water lilies, acacias blooming, dragonflies hunting and butterflies fluttering everywhere… and birds of course: several Egyptian and Spur-winged Geese, a Knob-billed Duck, hundreds of White-faced Whistling Ducks (and one Fulvous Whistling Duck), two distant Black Storks and a Black-headed Heron, a couple of European Turtle-Doves, vocal Woodland Kingfishers (Ouette d’Egypte, Oie-armée, Canard à bosse, Dendrocygnes veufs et fauves, Cigognes noires, Héron mélanocéphale, Tourterelle des bois, Martin-chasseur du Sénégal). More Collared Pratincoles, a Montagu’s Harrier, and as we were watching the ducks and waders near the marigot de (N)yéti Yone, Chestnut-bellied Sandgrouse started to appear in small flocks, flying hurriedly over the plain (Glaréole à collier, Busard cendré, Ganga à ventre brun). On the way back along the track, a few of these birds were bathing and drinking from small roadside pools. Oh and sparrow-larks everywhere, mainly Chestnut-backed but also a few Black-crowned Sparrow-larks. 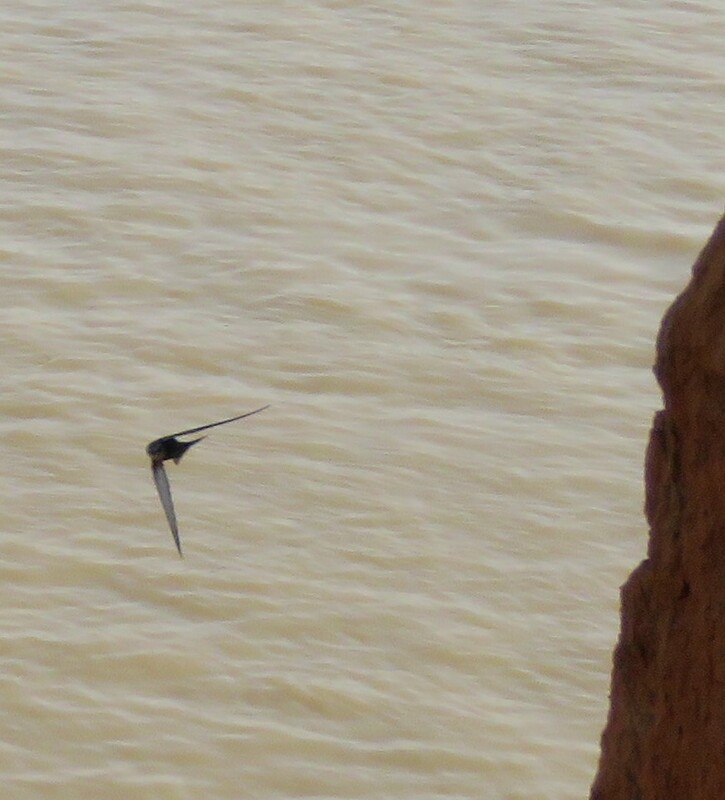 Over a hundred Sand Martins were feeding over the plain, with several Common Swifts also passing through (Moinelettes à oreillons blancs et à front blanc, Hirondelle de rivage, Martinet noir). Woodchat Shrike / Pie-grièche à tête rousse juv. Next up: Richard Toll, where we paid a brief visit to the aerodrome area, known to attract some good species in winter but rarely visited at this time of the year (this actually applies to pretty much all sites we explored). 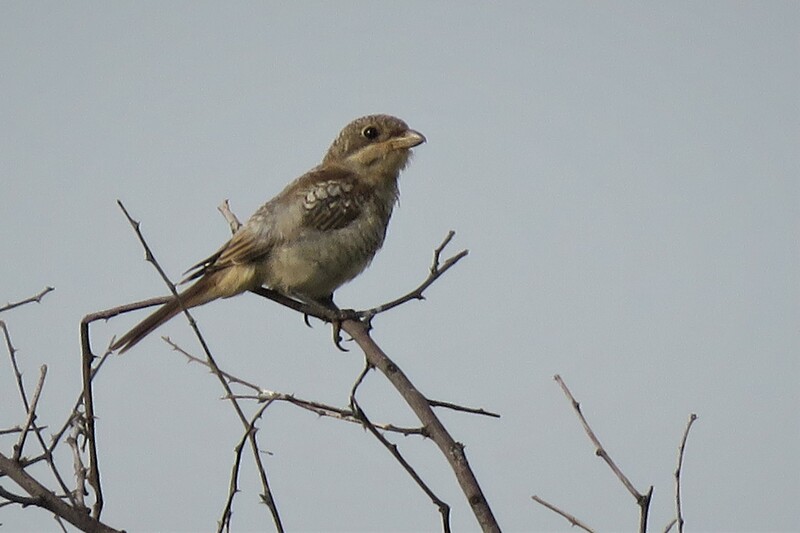 Our first Southern Grey Shrikes were seen here, as were Green Bee-eater, Tree Pipit, Singing Bush-Lark, Chestnut-bellied Starling, and more (Pie-grièche méridionale, Guêpier de Perse, Pipit des arbres, Alouette chanteuse, Choucador à ventre roux). Time to move on… with just 110 km to cover until Gamadji Sare, we could afford making a few more stops en route. 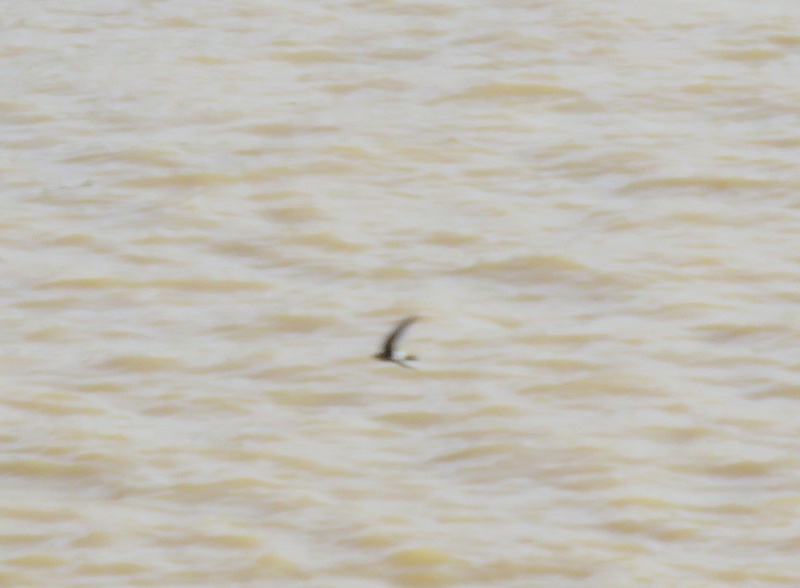 First of all at the wetland past Thille Boubacar, where a quick scan from the bridge by Ndiayene Pendao produced two Egyptian Plovers (Pluvian). The pond on the other side of the river, which back in January had yielded quite a lot of good birds, was harder to access because its surrounding were all flooded, making it difficult to get decent views of the main water body. So no Pygmy Geese this time round. Several Black Herons and African Darters were around, while a European Pied Flycatcher and a few Subalpine Warblers were feeding in the acacia woodland (Héron ardoisé, Anhinga, Gobemouche noir, Fauvette passerinette). 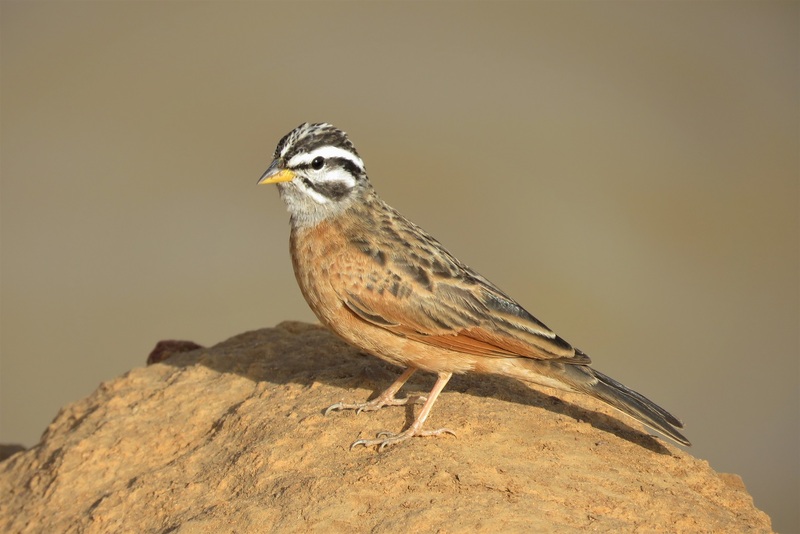 An adult Short-toed Eagle was seen flying over the road, and a couple more stops produced our first Cricket Warblers of the trip, more singing Black-crowned Sparrow-larks, breeding Sudan Golden Sparrows, and Vieux was lucky to see a Fulvous Babbler (Circaète Jean-le-Blanc, Prinia à front écailleux, Moinelette à front blanc, Moineau doré, Cratérope fauve). Alas no Golden Nightjar which we searched for in an area where it is known to winter. 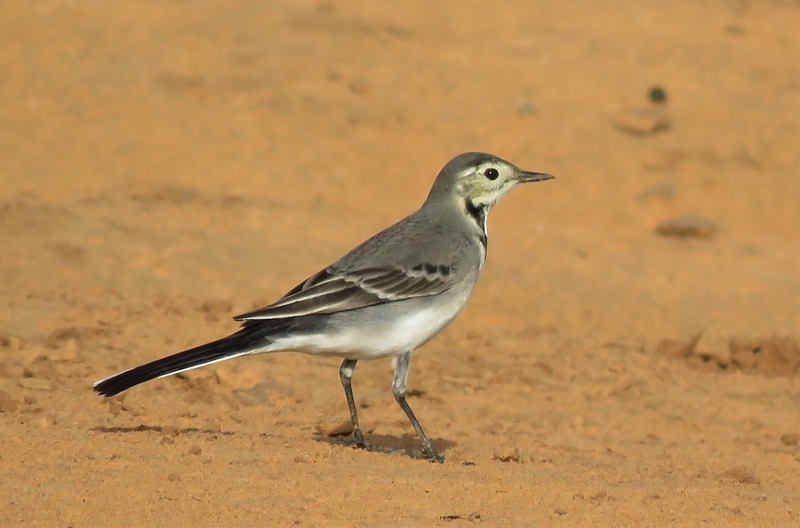 And at long last, we arrived at Gamadji Sare, just in time for another hour’s worth of birding – No Time to Loose! 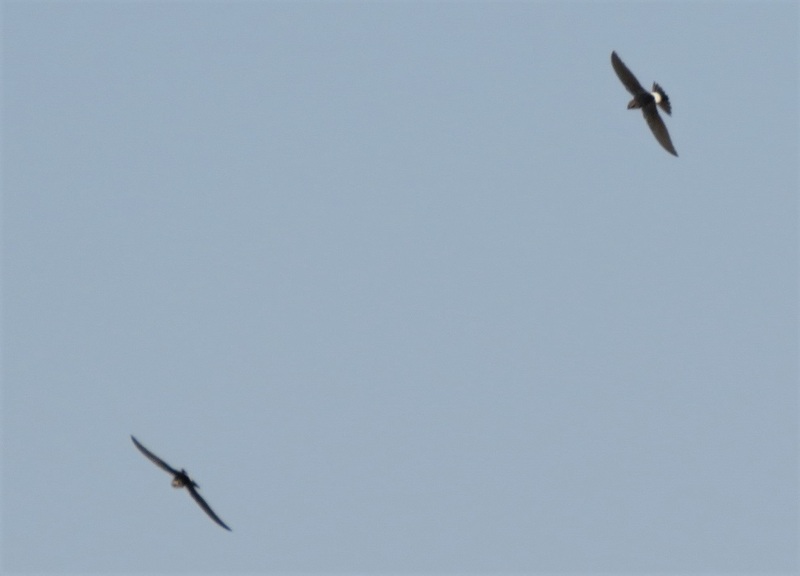 – and of course we were more than eager to find out whether those mystery swifts were still going to be around. 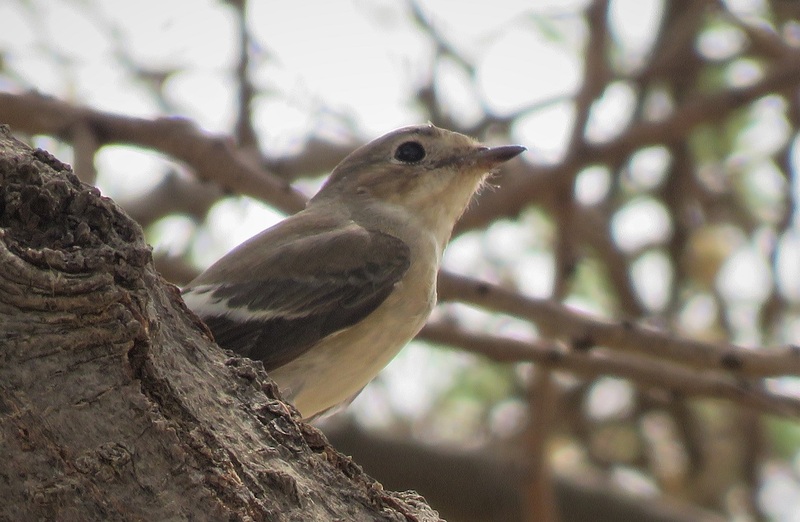 I’d barely walked through the back door of the Jardins du Fouta hotel, and there they were: a handful of Horus Swifts were flying over the river, confirming our suspicions that the species is well established here and that our sightings from January (and Fred’s in February) were not of some vagrant groupe of birds. 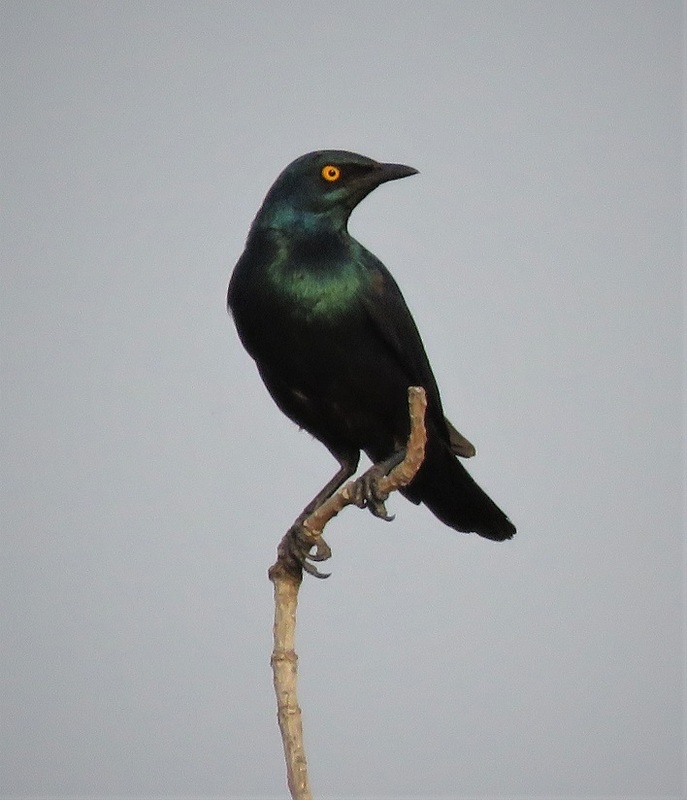 At least 10 birds were seen several times, often flying close to the cliff’s edge while calling excitedly, and entering disused Blue-cheeked Bee-eater nest holes as night was falling. 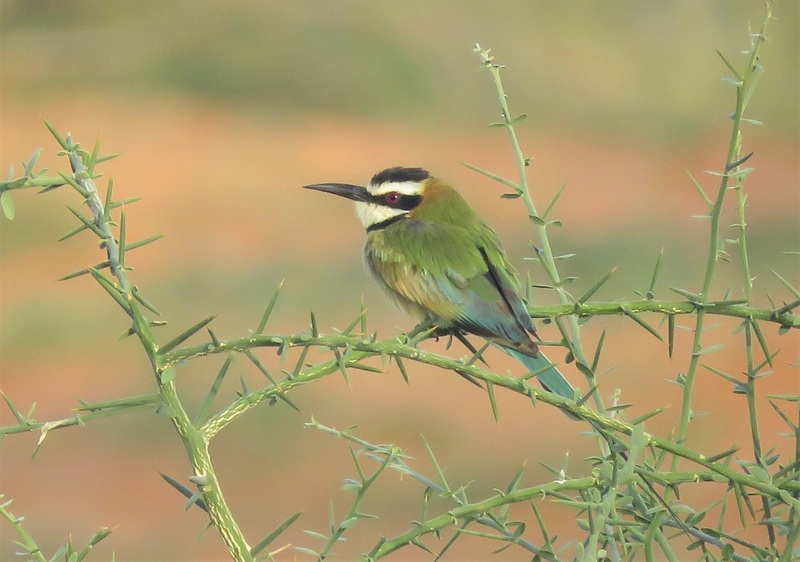 Unlike in January, the bee-eater colony was in full swing, with dozens of birds noisily feeding young in and out of the nest holes. 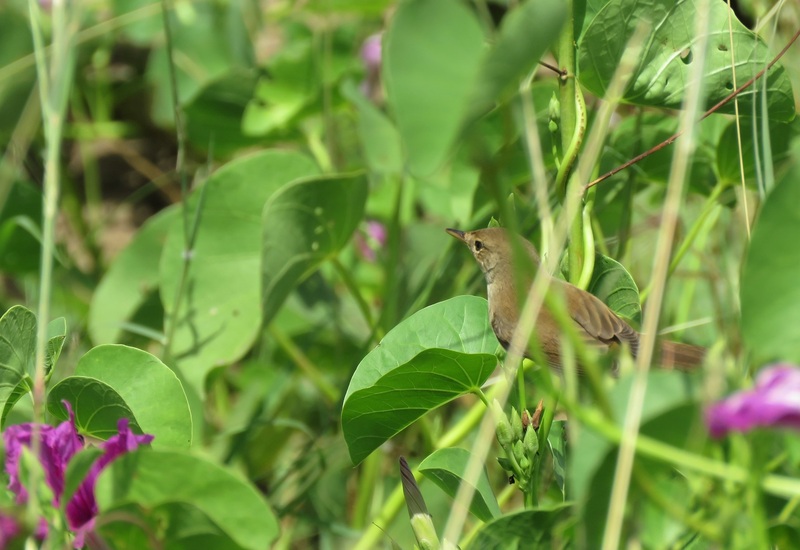 A short walk along the Doué river produced migrants such as Orphean and Bonelli’s Warblers, Pied and Spotted Flycatcher, and more Black Scrub Robins and Cricket Warblers (Fauvette orphée, Pouillot de Bonelli, Gobemouches noirs et gris, Agrobate podobé, Prinia à front écailleux). 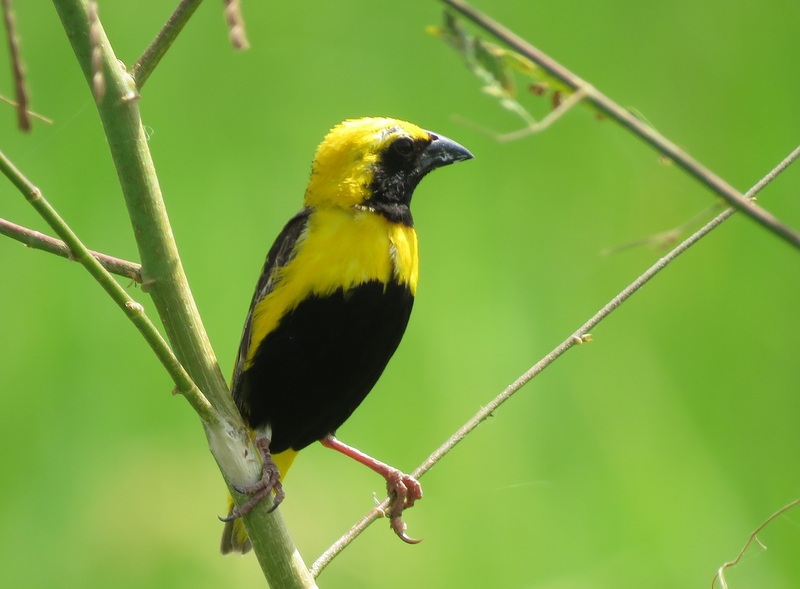 Birding non-stop… what a day! Difficult for things to get even better than the previous day, right? 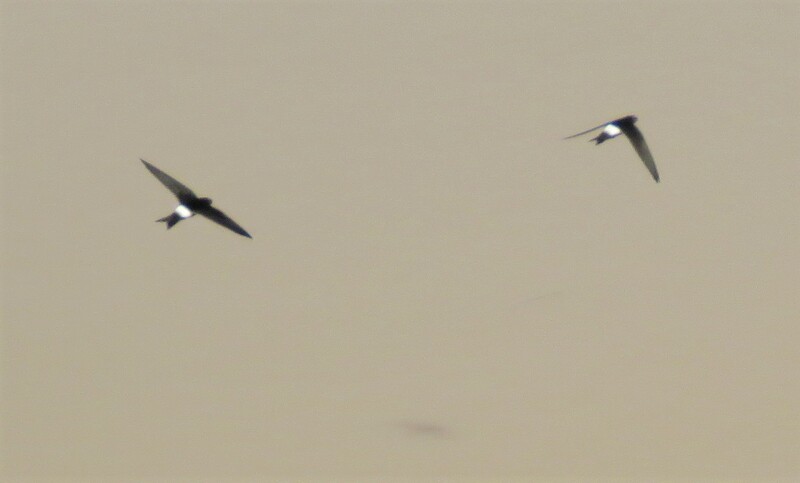 More on the swifts may follow in an upcoming post. In any case, it’s pretty clear now that the species is well established and it would be surprising if they didn’t in fact breed here. 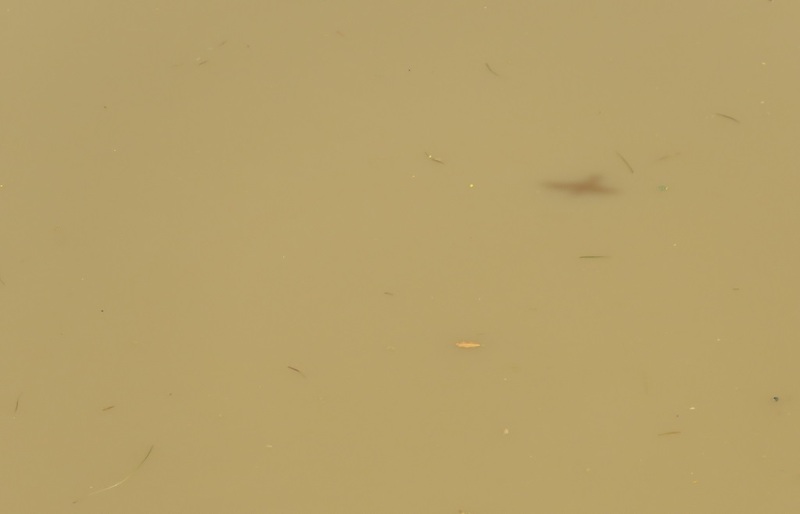 And that other sites along the Senegal and Niger rivers and their tributaries are probably waiting to be discovered. Further along the river bank we saw pretty much the same species as the previous evening, plus Hamerkop, Lanner, Pallid Swift, Gosling’s Bunting to name but a few (Ombrette, Lanier, Martinet pâle, Bruant d’Alexander). A quick breakfast and some birding in the gardens which held Red-throated Bee-eater – just when we thought they were no longer around – and an unexpected Wryneck among many others; we then decided to go out to the rice paddies and the fields just to the north-east of the village (Guêpier à gorge rouge, Torcol fourmilier). Not really knowing what to expect, we weren’t disappointed: Bluethroat! Whinchat! Dwarf Bittern! 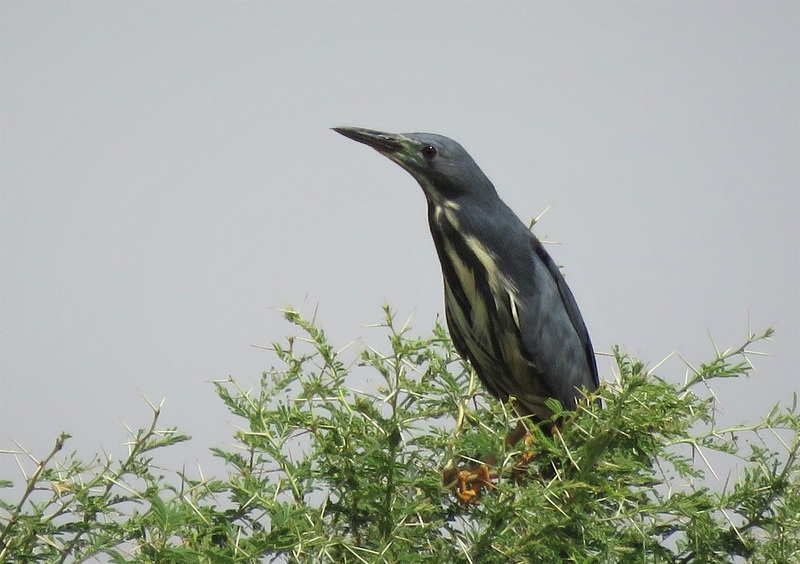 …all species that in Senegal are tricky to see in one way or another (Gorgebleue à miroir, Tarier des prés, Blongios de Stürm!). 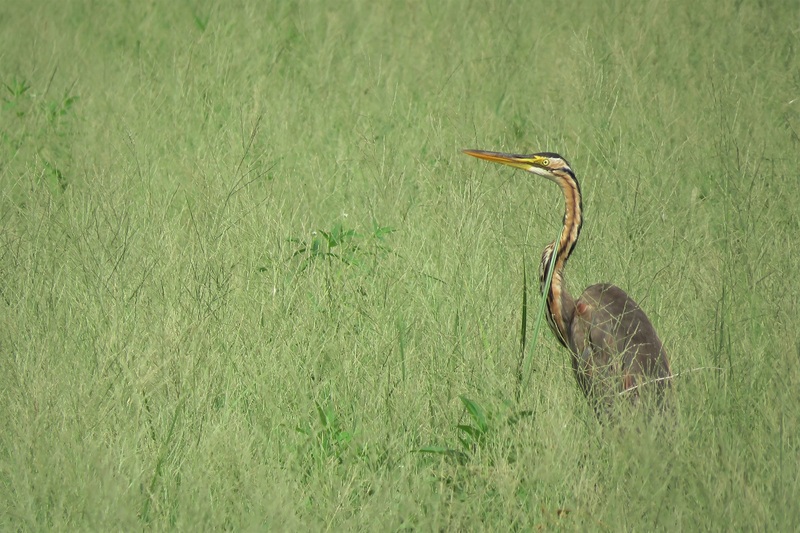 The bittern was particularly cooperative: after it was accidentally flushed by Vieux, it landed on top of a bush, showing off its unique plumage – nice to finally catch up with this little beauty in Senegal (bringing my country list to 498 species!). All in all, we got to see no less than 90 species in a single morning, all within walking distance from the guesthouse: pretty impressive I say. See the complete eBird checklist here. We were now half way through our little expedition so it was already time to return west, to Dagana via Podor. This section, as well as days 4 (Foret de Bokhol, Richard-Toll again, Ross Bethio to Gandiol) and 5 (Langue de Barbarie and the Gandiol area, back to Dakar) will be covered in an upcoming Part II of this post… Thanks for reading up to here!